During this revival of retro gaming, more and more people are dusting off their old retro consoles and reliving their past. Often there comes a need to acquire extra controllers, as the originals may be missing or no longer functional. A quick search online will show that there are a plethora of third party controllers for retro game consoles, many on the cheap. When compared to the standard of original controllers, most of these fail to compare favorably. Sure, they get the job done, but as the old adage says, you get what you pay for. 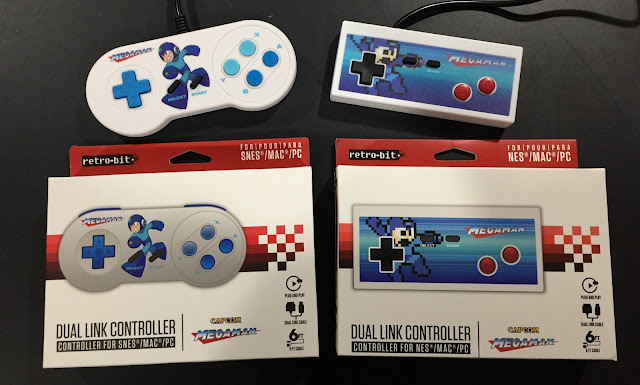 I wasn't in need of extra controllers, but I couldn't pass up the Mega Man designs. I figured I could use these on my original consoles as well as on Retropie. Clearly the button positions on the Retro-Bit NES controller are different, and the buttons are convex instead of concave. I presume this was done to match the B and A button positions on a SNES controller. Its different, but is easy to get used to. The start and select buttons have been raised for some reason. It's not a huge bother, but I found myself pressing the center of the controller out of habit, only to have to stop and look for the start button. The d-pad does not have the arrow indentations that the original has, and has perhaps a lower profile. I found this to be very comfortable, maybe even more comfortable than the original. Movement is smooth, and the resistance is just right. The buttons feel good, except that I prefer the concavity of the original. The build quality is great, and has the same weight as you expect is should. This particular Mega Man design is one of two characters that Retro-Bit licensed from Capcom, the other being Arthur from Ghost's n' Goblins. There is also a non-character design, but I think it looks too plain. The Retro-Bit SNES controller does not deviate from the original controller design. All of the buttons are where you expect them, and the X and Y buttons are even concave to physically distinguish them from B and A. The button press resistance is bit lighter than the originals, which I like a lot. The L and R shoulder buttons even have a "clickier" feel to them, but not in a bad way. The d-pad is perfect, they nailed this one. 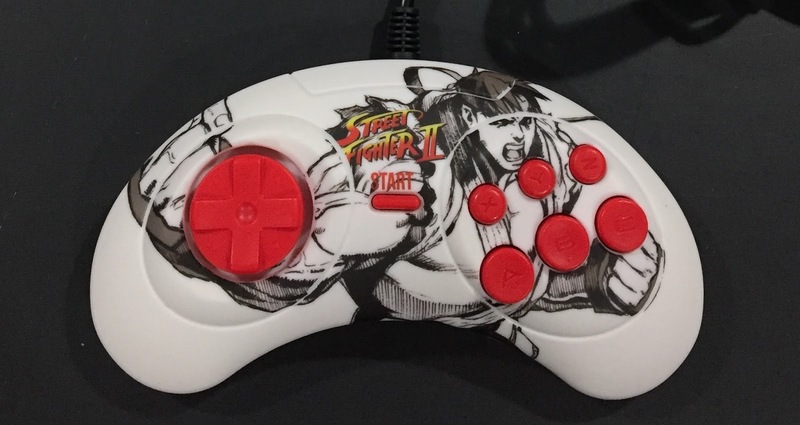 The Genesis 6-button controller is the second controller released, the first having only three buttons and a start button. It was released around the time when Street Fighter 2 Champion Edition was released, and with good reason. Playing SF2 with only three buttons is a nightmare. You would have to press start to switch between punch and kick. In a game where speed matters, that is a game breaker. It also featured a new d-pad, which is smoother and a bit raised compared to the original. It feels better overall, and is a very comfortable controller. Retrobit did a nice job recreating the feel and tactility on their officially branded SF2 6-button controller. The whole dual-link concept is an original idea for reproduction controllers, and a welcome one. With more and more options for playing retro games, having a multiple controllers for each system is cumbersome. 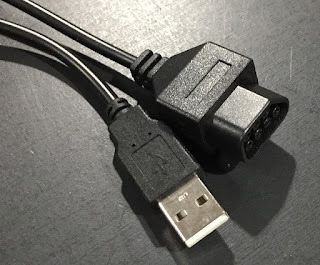 These controllers all have an original plug and a usb connection, so you can use the same controllers for emulation as well as original hardware. 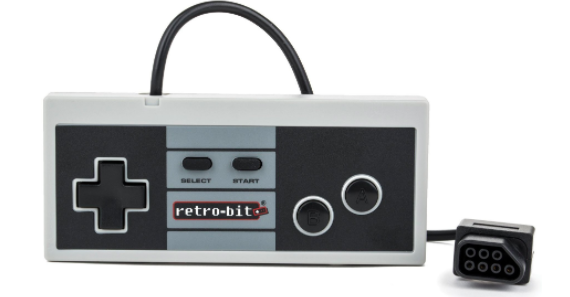 Overall, I was pleasantly surprised at the build quality and performance of Retrobit's dual link controllers. They are definitely worth the price, and the awesome licensed artwork is icing on the cake. I highly recommend them. I would go at get them now before the license runs out, as I don't imagine there will be a huge production run.